Working across sectors begins with speaking the same language. If you’re lost in a sea of acronyms, this tool can help. Below we aim to demystify common industry jargon. Accountable care is one of seven broad categories of innovation models testing new payment and service delivery models under the national Center for Medicare and Medicaid Innovation, which strives to meet the Triple Aim—better health care for patients, better health for communities, and lower costs for the health care system. Accountable care organizations (ACOs) are groups of health care providers that accept financial risk for the total cost of care delivered to a defined population. ACOs financially encourage providers to keep a population of patients healthy at a lower cost by improving efficiency and coordination of care. The Center for Medicare and Medicaid Services initially developed the ACO model for the Medicare population, but ACOs frequently provide services for Medicaid programs and private payers, as well. This Jargon Buster was contributed by the Georgia Health Policy Center. The Patient Protection and Affordable Care Act (ACA), passed by Congress in 2010, achieves comprehensive health care reform through a focus on increasing the number of Americans covered by health insurance and improving the quality of health care, while lowering the cost of care, in part through a focus on prevention and population health. The ACA makes significant changes in access to and financing of health insurance. The ACA now requires most U.S citizens and legal residents to have health insurance. Rather than relying as heavily on employer-based insurance, the ACA created state Health Benefit Exchanges (or Marketplaces) for individuals and small businesses to purchase coverage. For individuals and families between 100 percent and 400 percent of the federal poverty level, the ACA expands eligibility for Medicaid and provides tax credits for purchasing health insurance. The expansion of both public and private coverage through the ACA insured approximately 17 million more Americans in 2015 and is expected to insure up to 25 million Americans by 2022. Major changes already occurred with the addition of health insurance Marketplaces and the expansion of Medicaid in the thirty-one states and the District of Columbia that chose to expand Medicaid as of July 2016. In an effort to improve the quality of care delivered and cut unnecessary spending, the federal government is funding pilots aimed at improving the delivery of health care services. These pilot programs include new ways for paying for care that are focused on the quality of care delivered. Instead of paying for each line item separately, payments are being "bundled" to include a single payment for all of the services typically associated with caring for a particular condition. Additional efforts are aimed at improving the quality and efficiency of care resulting from better care coordination. This includes testing new models for delivering care, like accountable care organizations, and investments in health information technology, like electronic medical records. As part of care coordination efforts, the ACA provides new opportunities for health systems to partner with social service providers in order to address social determinants of health that are known to impact health outcomes and hospital readmissions. In addition to reducing costs by limiting unnecessary health care services, cost containment efforts also focus on reducing billing fraud, increasing pricing competition and transparency, and adding oversight of health insurers. Over the long term, the ACA aims to save health care costs by improving the health and wellness of the overall population. To accomplish this, the ACA increases coverage of health screenings and other preventive services and provides incentives for the creation of employer-based wellness programs. To ensure access to these preventive services, the ACA expands funding for community health centers, school-based health centers, and health care workforce development. The CDC is an operating agency of the Department of Health and Human Services that serves as the nation’s leading public health institution. The CDC’s primary mission is to protect public health and safety through the control and prevention of diseases, injury, and disability. Through its Community Transformation Grant (CTG) program, the CDC has invested more than $200 million annually in programs to promote safe and healthy neighborhood environments since 2011. As of 2015, the CTG program has been reorganized and reassigned to the Prevention and Public Health Fund, established through the Affordable Care Act. This program continues to be the primary funding source for local initiatives that address social determinants of health. CDCs are neighborhood-level, nonprofit organizations that implement community development projects ranging from the development of affordable housing and community centers to job training and health services. Community development corporations emerged from what were called community action agencies in the 1960s. These organizations were created to build the capacity of low-income communities as part of the War on Poverty. CDCs range in size and focus and are found in many, but by no means all, neighborhoods across the country. They often function as real estate developers, dealmakers, and intermediaries between community-based service providers, public agencies, and investors like banks, philanthropic organizations, and community development financial institutions (CDFIs). The most recent national survey of CDCs found that there were more than 4,600 nationwide. The National Alliance of Community Economic Development Associations (NACEDA) and Practitioners Leveraging Assets for Community Enhancement (PLACE) are leading CDC trade associations. CDCs are located in the low-income communities that they serve. Professional staff operates CDCs with oversight from advisory boards that include neighborhood residents. It is important to note that while CDCs are 501(c)(3) nonprofits, they self-identify as CDCs; there is no discrete tax classification for the category. The work of CDCs is primarily funded through state and federal grants, but the groups can receive funding through Community Development Financial Institutions (CDFIs), intermediary organizations, and philanthropic organizations. A Community Benefits Agreement (CBA) is a legal contract between a developer and community groups that mandates which benefits a developer must provide as part of a development project (usually in or near a low-income neighborhood). These benefits depend on community needs, but may include living-wage requirements for jobs created, local hiring targets, and funding for community facilities. CBAs grew out of the “back to the city” movement of the 1990s, where cities aggressively pursued large-scale development projects like sports stadiums, hotels, and condominiums, often in or near low-income communities. These projects created jobs and tax revenues in disinvested areas, but did not necessarily guarantee jobs or better living conditions for local residents. CBAs were created as a legal mechanism to ensure that residents receive tangible benefits from large-scale development. Similar to Hospital Community Benefits [link to definition below], CBAs hold developers and large landowners accountable to low-income communities. Many but not all local governments now require CBAs as part of agreements with developers. To merit their federal tax-exempt status, nonprofit hospitals must report on the “community benefits” – previously called charity care - that contribute to the health and well-being of surrounding communities. Hospital community benefits typically include free and discounted care to uninsured and low-income patients, initiatives to increase access to care, medical research, and training for health professionals (see The Hilltop Institute). The Affordable Care Act of 2010 established additional requirements for nonprofit-hospital community-benefit reporting, including financial assistance policies for low-income patients, and community health needs assessments (CHNAs). CHNAs are completed to alert the hospital to the community benefits that are most needed. Hospitals must publicly report CHNA findings and community benefit every three years. In contrast to Community Benefits Agreements, the reporting of Hospital Community Benefits is enforced by the IRS. See this report for more information on community benefit requirements. Community development is a multi-billion-dollar sector of the American economy that invests in low- and moderate-income communities through the development and financing of affordable housing, businesses, community centers, health clinics, job training programs, and services to support children, youth, and families. The sector has its roots in the urban revitalization efforts of the late 19th century but expanded as a result of the War on Poverty programs of the 1960s. Today, the community development sector invests more than $200 billion annually in low-income communities. While community development is not a discrete academic discipline or an accredited field like public health, it is more than an activity. It is best viewed as a self-defined sector involving organizations from multiple fields that share a common focus on improving low-income communities. These organizations come from fields including real estate, city planning, law, social work, public policy, public health, affordable housing, and finance, and generally identify themselves as being part of the community development industry. Neighborhood-level Community Development Corporations (CDCs) and Community Development Financial Institutions (CDFIs), working at both local and national levels, provide leadership in the sector, often working alongside neighborhood residents, real estate developers, philanthropic organizations, city agencies, investors, and social-service providers. By improving well-being in disadvantaged neighborhoods, community development affects the “upstream” causes of poor health, like poverty, unstable housing, and limited access to fresh food markets and other services. At its best, community development achieves health equity by addressing many of the factors, or social determinants, that affect public health. CDFIs are “private financial institutions dedicated to delivering responsible, affordable lending to help low-income, low-wealth and other disadvantaged people and communities join the economic mainstream” (see the Opportunity Finance Network). CDFIs include both for-profit and nonprofit institutions like community development banks, credit unions, loan funds, and venture capital funds. These institutions invest in communities by financing small businesses, microenterprises, nonprofit organizations, and commercial real estate and affordable housing. As of 2018, there were more than 1,100 CDFIs serving cities, rural areas, and Native American reservations. CDFIs also serve as intermediaries that help commercial banks invest in low-income communities to meet their Community Reinvestment Act (CRA) requirements. Some Community Development Corporations and affordable housing developers operate CDFIs as part of their work (for example, the affordable housing developer Mercy Housing has an associated CDFI, Mercy Loan Fund). Leading CDFI resources include the Opportunity Finance Network, the nation’s leading CDFI trade association, and the United States Treasury’s CDFI Fund, the federal government’s designated funding source for CDFIs. Established in 1994, the CDFI Fund provides financial and technical-assistance grants to certified CDFIs, and manages the New Markets Tax Credit program, among others. CDFIs must be certified through the CDFI Fund to access these programs. In 2013, the CDFI Fund distributed $172.6 million to CDFIs nationwide. A Community Health Assessment, or CHA, is a formal process to better understand the health needs of a community. CHAs are led by a governmental department, such as a local, county, tribal or state health agency. For healthy community advocates, a CHA is an opportunity to bring to light and emphasize how factors beyond health care affect the overall health of the community. Identify and prioritize the most pressing health challenges facing the community it serves. Once a CHA is complete, a health department develops a Community Health Improvement Plan, or CHIP, which presents strategies of how the identified health challenges will be addressed. While CHAs often focus on health conditions or health care services, such as cancer, diabetes or behavioral health, some identify broader social determinants of health, such as poor housing, lack of healthy food and widespread racism or poverty, as a community impediment to good health. CHAs are similar to a process that nonprofit hospitals must organize, known as a Community Health Needs Assessment. Because of the similar nature of both processes, some public health departments and nonprofit hospitals coordinate these assessment processes. See this report for more information on collaborating to develop healthy communities. This Jargon Buster was contributed by Vitalyst Health Foundation. A Community Health Needs Assessment, or CHNA, is a formal process to better understand the health needs of a community. CHNAs are typically led by a nonprofit hospital. For healthy community advocates, a CHNA is an opportunity to bring to light and emphasize how factors beyond health care affect the overall health of the community. Once a CHNA is complete, a hospital must develop a plan for how it will address the identified health challenges—often called an Implementation Plan. Both of these documents should be available to the public on the hospital’s website. Through this regular and intensive look at pressing health challenges, nonprofit hospitals can better target partnerships, strategies and investment of its community benefit resources. Historically, CHNAs often focused on health challenges that relate directly to a health condition or health care services, such as cancer, diabetes or behavioral health. However, hospitals are increasingly identifying issues outside health care, such as poor housing, lack of healthy food and widespread racism or poverty, as a community impediment to good health. CHNAs are similar to a process that public health departments organize, known as a Community Health Assessment. Because of the similar nature of both processes, some public health departments and nonprofit hospitals coordinate their assessment efforts. A commu­nity quarterback is an entity that serves in a coordinating role, managing a diverse coalition of players in order to achieve community betterment. A community quarter­back may function as an organizer and navigator toward the shared goal of a cross-sector initiative in many ways, which could include articulating the goal itself, estab­lishing shared metrics, bringing together knowledgeable allies and financial resources, and facilitating the work of an initiative’s many community partners. In this model, the quarterback knits together the diverse abilities of for­merly siloed community development sectors, creating a powerful integrated initiative. 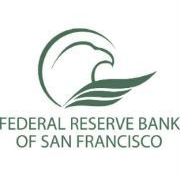 This Jargon Buster was contributed by the Federal Reserve Bank of San Francisco. Enacted by Congress in 1977, the Community Reinvestment Act (CRA) is a federal law that requires banks to meet the credit needs of the communities they serve, particularly individuals and businesses in low- and moderate-income neighborhoods. CRA was developed in response to “redlining” practices in which banks deemed particular neighborhoods—typically low-income or predominantly minority neighborhoods—unfit for investment. CRA compliance is monitored by three bank regulatory agencies: the Federal Reserve System, the Federal Deposit Insurance Corporation (FDIC), and the Office of the Comptroller of the Currency (OCC). CDFIs serve as the financial intermediaries between low-income communities and commercial banks to ensure that the banks can meet their CRA requirements. CRA-funded projects have traditionally focused on affordable housing and business development but today include investments like grocery stores, charter schools, health clinics, and other community facilities that address the social determinants of health. In 2011, financial institutions made $209 billion in CRA loans. Equity is also a term in finance and is broadly defined as an ownership share of an asset. For example, an investor could purchase shares of stock in a company or in the case of Low Income Housing Tax Credits (LIHTC), an investor could purchase an equity stake in a housing development. In the context of homeownership, equity is the value of ownership built up in a home or property that represents the current market value of the house less any remaining mortgage payments (debt). This value is built up over time as the property owner pays off the mortgage and the market value of the property appreciates. The Network adopts the Department of Health and Human Services definition of health equity: “The attainment of the highest level of health for all people.” Others describe health equity as the “the absence of systematic disparities in health or in the major social determinants of health.” Community development provides a pathway to achieving health equity by serving as a mechanism to address many of the root causes of poor health. The Network adopts the Center for Assessment and Policy Development definition of racial equity as "the condition that would be achieved if one's racial identity no longer predicted, in a statistical sense, how one fares. When we use the term, we are thinking about racial equity as one part of racial justice, and thus we also include work to address root causes of inequities, not just their manifestation. This includes elimination of policies, practices, attitudes and cultural messages that reinforce differential outcomes by race or fail to eliminate them." Essential Hospitals fill a safety-net role by caring for the uninsured, for low-income people, and for others who face economic and social hardships. In these hospitals, Medicaid and uninsured patients account for nearly half of all inpatient discharges and outpatient visits. Essential Hospitals also provide services that benefit everyone in the community, regardless of social or economic status. protect public health by going outside their walls to improve population health and to prepare for and respond to natural disasters and other crises. This Jargon Buster was contributed by America’s Essential Hospitals, the trade association for 325 essential hospitals across the United States. The group supports members with policy development, research and education. The Network adopts the World Health Organization’s definition of health. "A state of complete physical, mental, and social well-being, and not merely the absence of disease or infirmity.” This association of health with overall well-being highlights the importance of addressing the social determinants of health. As practices similarly concerned with broader well-being, community development and public health understand health in these terms. Health Care refers to the provision of medical services to maintain and restore health. Access to adequate health care services is a known social determinant of health. A health impact assessment (HIA) is one of the tools used to support a Health in All Policies approach. HIA is a structured process that brings together scientific data, public health expertise, and stakeholder input to identify the potential health effects of a proposed policy, plan, program, or project. Based on an objective and thorough analysis of potential effects, an HIA offers practical recommendations for ways to minimize risks and capitalize on opportunities to improve health. The performance context is the “broad range of economic, demographic, and institution‐ and community‐specific information that an examiner reviews to understand the context in which an institution’s record of performance should be evaluated.” In practice, the performance context is a research‐based narrative that describes the environment in which the bank is conducting its Community Reinvestment Act (CRA) activities. Each bank and market is different, so the performance context allows examiners to qualify the local conditions and capacity that contribute to a bank’s CRA activities. This allows examiners to enforce the CRA regulations in a consistent manner across institutions and markets. Public health is a field within the health sector that helps prevent disease and promotes the health of whole populations through educational programs, policies and regulations, services, and research. Public health does not include providing medical or health care services; it involves mostly government-affiliated initiatives to promote healthy lifestyles, improve access to health care, control infectious diseases, and reduce environmental hazards, violence, substance abuse, and injury (see Association of Schools and Programs of Public Health). In 2009, federal, state, and local governments invested $76.2 billion in public health programs nationwide. It is worth noting that this figure represents only 3 percent of the $2.5 trillion spent on health care in the United States in 2009. Unlike community development, public health is an academic discipline and an accredited field, typically involving environmental scientists, health educators, medical professionals, and others (see the American Public Health Association for a full list). In contrast to community development, public health is focused not only on low-income communities but the public at large. That said, public health professionals focused on population health—a subset of public health concerned with social determinants of health—tend to work in and for low-income communities. The Centers for Disease Control and Prevention (an operating agency of the Department of Health and Human Services) is the nation’s leading public health institution, often funding health-promotion programs for county and state health departments. America’s Essential Hospitals suggests using the definition of "Essential Hospitals" in place of the term "safety net hospital." The Network adopts the World Health Organization’s definition of the social determinants of health: “The conditions in which people are born, grow, live, work, and age, including the health system.” Specific social determinants of health include economic and housing stability, employment status, educational attainment, access to health care, access to healthy foods, exposure to crime and violence, and environmental conditions (see Healthy People.Gov). By improving neighborhood conditions, community development addresses multiple social determinants of health, thus providing a pathway and means to finance the neighborhood changes required to achieve health equity. A Wellness Trust is a funding pool raised to support prevention and wellness interventions that improve population health outcomes. Sources of funding can include public and/or private money. The Massachusetts Prevention and Wellness Trust was established by the Massachusetts legislature in 2012 and became the first state effort to use a wellness trust as a vehicle to make a large commitment to population-based health promotion efforts. Growing interest in wellness trust coincides with the current transformation of the health care system that moves care away from traditional fee-for-service payments to value-based, global payment for the care of population of patients. These new delivery and payment reform efforts are better aligned with community-based prevention and wellness efforts. Wellness trusts can supplement limited public resources for prevention and allow for innovative prevention efforts that target upstream drivers of health and wellness, including those in the built community.